Big SilenCA is an LA based West Coast recording & performance artist since the age of 18. His lyricism is admired by his peers earning him the 2012 SouthBay Best New Hip Hop Artist award presented to him by Jayo Felony’s Loco Entertainment group. Big SilenCA has performed on over 100 big stages alongside Nipsey Hussle, YG, All 5 members of Bone Thugs & Harmony, Suga Free, Baby Bash, Fat Joe, Redman, Dogg Pound Daz & Kurupt. The big stages are not a problem for Big SilenCA he embraces it with excellence. ​ Big SilenCA is currently working on his 6th studio album titled “RR” LP (Real Rap). He is looking forward to dropping the first single titled “Dead Soldier” and video filmed in Los Angeles, CA by cinematographer DoubleDee. 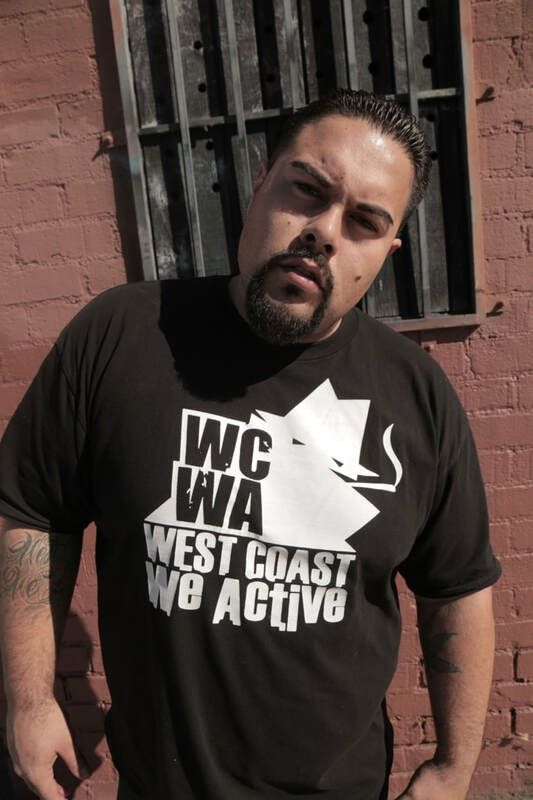 Big SilenCA created his "West Coast We Active" clothing line. He sported his clothing line in his music videos ("I'm High" (featuring Slip Capone & Cyzer Loks) "I Don't Hear What You're Talkin' About") & while rockin stages. Big SilenCA currently has 5 albums available on all streaming platforms including Spotify, iTunes, YouTube, Amazon, Google Play, Pandora & iHeart Radio.